Featured Recipe: These tasty veggie-packed Meatloaf Muffins are a favorite of kids of all ages! And they make the perfect addition to lunchboxes thanks to their compact size. Welcome to The Better Mom Whole Food Meal Plan. Our free bi-weekly GF menus open into a convenient pdf that includes links to each of the gluten-free recipes featured making it easy to access them with just a simple click. Once you click on the graphics below, you can easily save these gluten-free menus to your desktop for easy access anytime you need them. Then, simply click on the links within the meal plan pdf to gain instant access to the gluten-free recipes. New format! We've streamlined our weekly meal plans to focus more on our gluten-free, grain-free family-friendly dinner menu, while still providing several recommendations for healthy breakfasts and lunches too. In addition, if you opt to subscribe to The Nourishing Home, you will receive The Nourishing Home Weekly Newsletter which includes a complete gluten-free, grain-free meal planning kit. 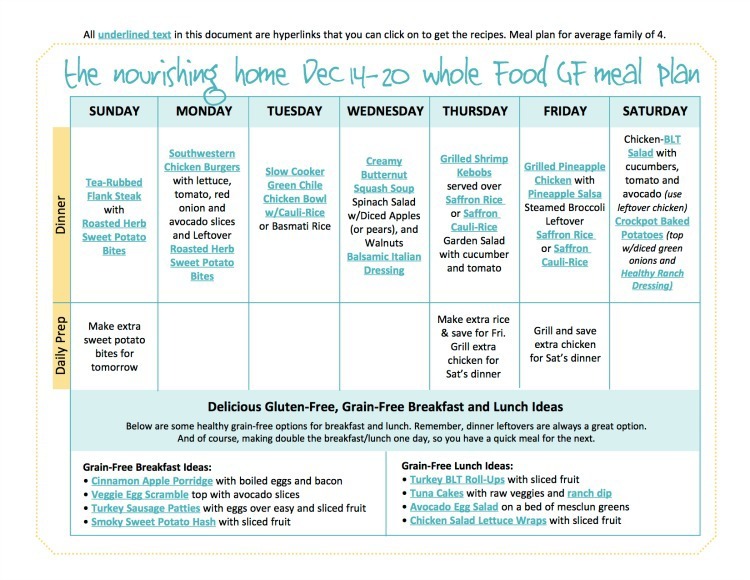 Each week's GF Meal Plan Kit contains a gluten-free, grain-free meal plan along with a Weekly Shopping List and a Prep Day Chart featuring helpful tips that make putting healthy meals together a snap. For details about the free Gluten-Free Meal Plan Kit for subscribers only, please visit The Nourishing Home. To learn more about meal planning, please check out my FREE Video Course: Mastering Meal Planning. My hope is that this will be a great resource and encouragement for you whether you’re just getting started with meal planning, or are a seasoned expert. Always a treat to share healthy meals with you! Let’s give thanks to the Lord for providing us the opportunity to nourish our families in this way! 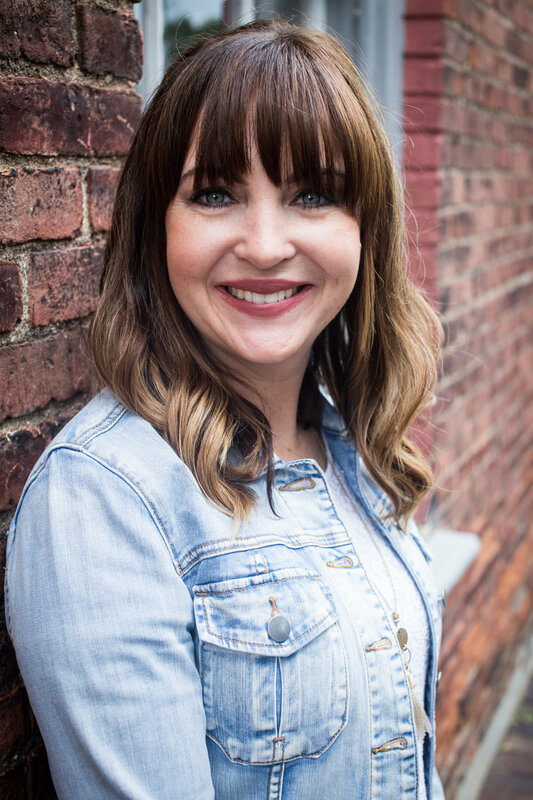 Kelly loves the Lord, her family, and sharing her passion for gluten-free, grain-free cooking and meal planning with others. She is a full-time homemaker who loves spending time with her awesome hubby and two sweet boys. Kelly's whole food, gluten-free journey began six years ago when she was diagnosed with a chronic autoimmune disorder. Since then, the Lord has blessed her with an amazing recovery - a testament to His grace and the health benefits of eating whole foods. Kelly shares her knowledge and love for whole food cooking at The Nourishing Home.